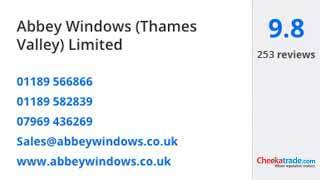 At Abbey Conservatories, when we design your new conservatory or refurbish your old conservatory in Reading, Henley-On-Thames and Wokingham, we offer a range of roofing choices. Our solid conservatory roofs are state of the art. They enhance the thermal performance of your conservatory and they transform its appearance, making it more like a classic extension. A solid conservatory roof is the perfect option for your Reading, Henley-On-Thames and Wokingham conservatory if you need a room you can use whatever the weather. 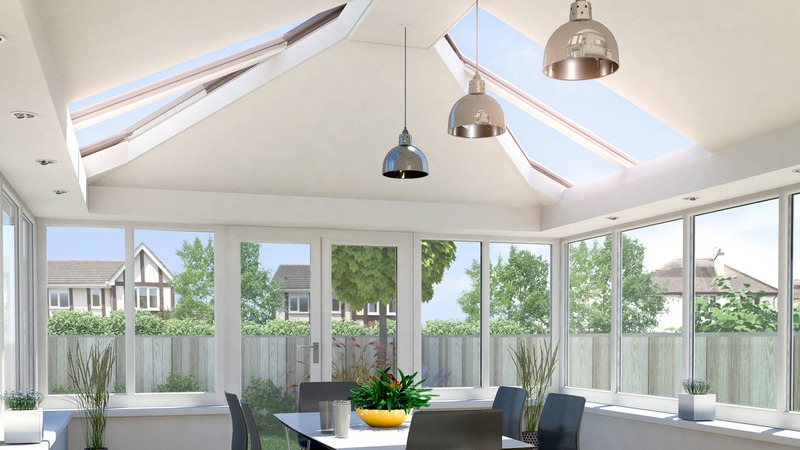 These beautiful conservatory roofs are a superb choice for conservatories in particularly sunny spots, as they provide shade and protection from the sun’s UV rays, enabling you to benefit from your garden room in the heat of the summer. In the winter, you will benefit from greater energy efficiency, maintaining the warmth of your conservatory so that you can use it no matter how cold it is outside. Relax in a cosy space which is more like an extension than it is a simple conservatory. Our solid conservatory roofs come from the superior range at Ultraframe renowned for the quality and performance of their products. These stunning roofs are expertly crafted to offer outstanding style and functionality. They are designed to protect your conservatory against even the worst of the storms in the UK, keeping you dry and draught free. They are manufactured to the highest standards by experts, ensuring every detail is exact, and they turn any conservatory into a room with a range of options for use. With a solid conservatory roof, you will be able to enjoy a practical living space to enhance your home. The beauty of the Ultraframe solid conservatory roof design is that it can be tailored to complement almost any conservatory style. There is a choice of tile colours enabling you to blend the new roof with the existing roof on your property. This helps to blend your conservatory in with your property, giving it the look and feel of an orangery or house extension. The precision engineered structure is customised so that it is the perfect fit for your existing conservatory or for your new installation. Your finished conservatory upgrade will look as though it was made for your home and is just part of its organic architecture. Our solid conservatory roofs are finished on the inside to match the high quality on the outside. The plastered ceiling has an attractive internal pelmet around the perimeter of the room. This design can then be used to great effect, creating stunning lighting effects with spotlights. You can also enhance the space, turning it into a fantastic room for dining or socialising with friends with the installation of fitted speakers, hidden away from view. If you want to, you can also choose to add a flat panel at the apex of the roof. This is fantastic for inserting downlights or installing pendant lights to create a bright and light space, or for enhancing the mood of the room. Garden rooms are a wonderful addition to any property. They have plenty of glass to ensure they are bright and airy, yet they have a solid roof, making them ideal for all sorts of uses. Relax with a coffee and admire the views, or create art in a light and inspirational living space. You can even use them as a handy playroom to keep the kids busy whatever the weather. Our garden rooms feature solid conservatory roofs which ensure they are a practical as well as stylish addition to your property. They will enhance your lifestyle as well as the space within your property. At Abbey Conservatories, we offer fantastic solid conservatory prices to homeowners in Reading, Henley-On-Thames and Wokingham. Our online quotes are fair and offer excellent value for money for your home improvements. You can get a conservatory roof quote from our expert team in no time at all. If you prefer, we’ll be able to offer you a price that has been tailored to your exact specifications for a cost-effective price. Abbey Conservatories are experts in the installation and refurbishment of conservatories, so trust us with your solid conservatory roof in your Reading, Henley-On-Thames and Wokingham.